Last week Alex and I closed on our first house. The process was long and stressful, but in the end nothing can take away from the excitement of owning our own home. What a blessing! It's a cute little duplex in Five Points, ten minutes outside of downtown Denver. It's a dream come true and I can't wait to get in there and start making it ours. 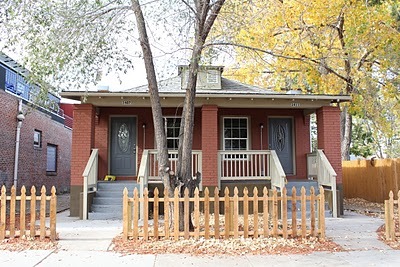 By the way, if you have real estate needs in Denver, I highly recommend Jeff Wimpy. P.S. Sorry it's been so quiet on the blog. Things are crazy this time of year (especially with all the changes and transitions happening), but I promise after the new year we'll have much to share about our new life in Denver!